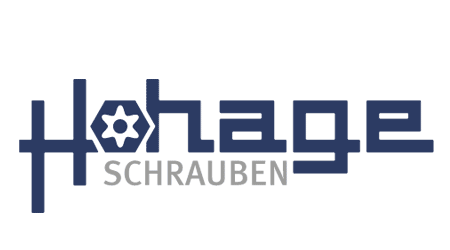 Vela Schrauben GmbH acquired a 50% holding in Hohage GmbH & Co. KG. This company’s core competence covers screw production and distribution. The customer is always at the heart of what we think and do. This is the guiding principle behind our company philosophy, in which we emphasise flexibility, quality, and client service. International competition has never been fiercer; we are there to support our customers. That’s why we are moving to expand our product range with larger dimensions, up to a diameter of M8. On 15 February 1954 Erich Hohage founded a company for the manufacture of joining elements. It all began in a little garage on Volme Street. Erich Hohage led the company until the summer of 1986, when Klaus Hohage was named Managing Director. From 1998 to today, Olaf Hohage has led the company as Managing Director. Production and distribution of joining elements manufactured to drawing, primarily screws with a size range of M2.5 to M6, have always been the mainstay of the company’s business. Both special-purpose and combi-screws can be manufactured according to client specifications. Our main business is done with the electrical and automobile industries. 90% of our products are sold within Germany. 15 February 1954, Erich Hohage KG company founded in Kierspe.